Create custom playlists in seconds. Get song recommendations for playlists. Easily create MoodMaker playlists by selecting the mood and genre of the music or with SmartMix, enter one or more artist names. Both of these playlist tools use NexTune's proprietary technology that arranges the songs into a flow based on tempo and music style to create a listening experience that rivals any playlist technology currently available online or otherwise. 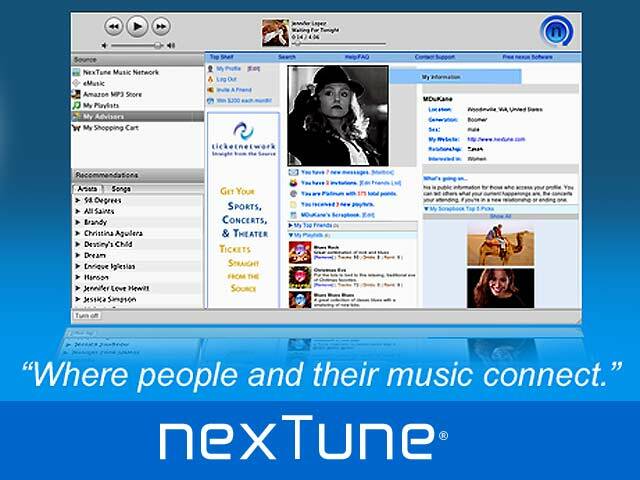 Users can save their playlists to their NexTune profile, FaceBook profile, iTunes or MediaPlayer. Users can import playlists from iTunes or MediaPlayer and use Nexus to arrange the songs automatically. Qweas is providing links to NexTune Nexus 3.0 as a courtesy, and makes no representations regarding NexTune Nexus or any other applications or any information related thereto. Any questions, complaints or claims regarding this application NexTune Nexus 3.0 must be directed to the appropriate software vendor. You may click the publisher link of NexTune Nexus on the top of this page to get more details about the vendor.